Did you know that more than 1.5 million collisions a year, or 4,300 crashes daily are caused by driver distractions or inattentive driving? This comes from the National Highway Traffic Safety Administration. 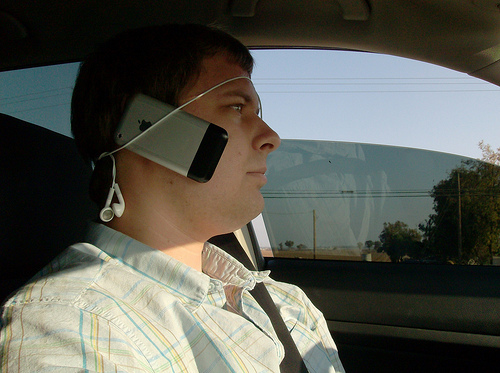 Probably the most obvious reason for driver distraction comes from cell phones and PDA’s. Whether it be text messaging, emailing, or straight talking, people on the road seem to make it their priority, putting driving secondary. Even here in California where it’s against the law to use hand-held devices while operating a vehicle, most don’t seem to care from what we see first-hand on the road every day. If it isn’t the cell phone, then it might be laptops, GPS systems, food, drinks, reading, writing, grooming and other crazy things. A 2009 study from the Virginia Tech Transportation Institute reflects the severity of cell phone distraction while driving. From dialing and talking to reaching and texting, cell phone usage while driving can be over 23 times riskier than non-distracted driving. Text messaging is by far the riskiest as the study results show. The important message here is if you’re an employer, you may be held liable if one of your employees causes an accident, catastrophic or not, from distracted driving. As long as that employee is driving in the course of employment, then beware. It’s highly recommended to establish a cell phone usage policy for your business and to educate your employees on the potential severity of their actions. If employees must use their phone to conduct business, they should at least pull over to the side of the road or into a parking lot. Or, get out of the car completely. 1.5 million accidents a year is substantial number. However, it might only take one employee accident to affect your business substantially. Know your risks!